Enter the model number of your appliance in the Search Box on the left for best results. If you don't have your model number, use the Find my Model Number option on the RepairClinic.com website. 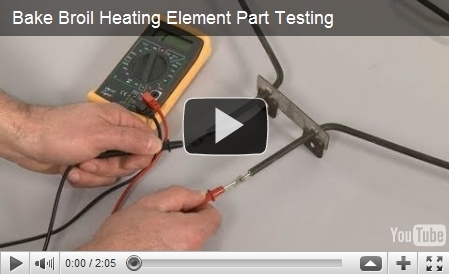 Keep in mind that without the model number, some of the parts shown may not be for your particular appliance. RepairClinic will is a great resource for appliance parts and it makes finding any appliance part easy, convenient and affordable. RepairClinic.com is a brick and mortar company with over 1 million parts in its large warehouse. It has been supplying appliance parts to over 1 million happy customers for more than ten years. Their easy-to-use website includes photographs on a grid board for easy part identification; their large, well-trained staff is available to answer all your repair questions. 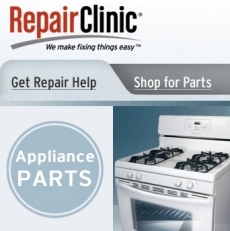 Visit RepairClinic.com for all your home appliance needs. Clean your refrigerator, inside and outside, and get it ready for the warm weather months. Use your vacuum cleaner to dust the refrigerator cooling fan and the long brush to clean the condenser coils. Check the refrigerator door seals to make sure that they are not worn out or damaged. Replace with a new door seal if necessary. January is a good time to replace your humidifier filter, wick, or pad. As water evaporates in your unit, these parts get clogged with water deposits. This buildup greatly reduces the effectiveness of your humidifier and many units start to work at half their capacity. This is a waste of money and energy. Once humidifier filters, wicks and pads on your humidifier get dirty and clogged, it is impossible to clean the deposits. 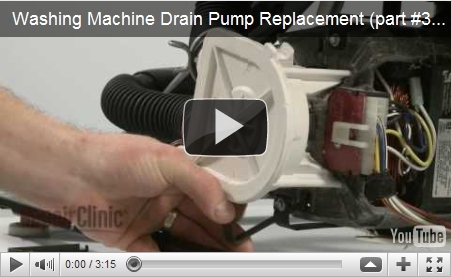 These parts need to be replaced for your humidifier to work at its full potential again. Any time of the year is a good time to clean up your oven, but spring is the time when we are most in the mood to wash way the grime of winter. Start by cleaning the stove knobs with a safe, non abrasive cleaner, so you don't cause any damage while you are cleaning. If the knobs are broken, or look old and damaged, replace them. Changing the knobs will make your stove look new and sparkly. To find the right replacement knobs for your particular model number, visit RepairClinic.com You can easily find all the items you need for your unit at their Shop for Parts feature. The leading cause of most dryer problems is lint build up. Lint build up causes drying times to increase dramatically and is responsible for thousands of house fires a year. To remove lint build up in the long vent that leads to the outside, use a a dryer vent brush . RepairClinic offers 10 ft. and 20 ft. dryer vent brushes, and both work great for this messy task. Check your washing machine water fill hoses for any signs of wear and tear: cracks, blisters, corroded fittings and leaks. Cracks show that the rubber is aging and breaking down. Blisters caution that there might be a rupture in the inner lining of the hose. This indicated danger that the hose may burst at any time. Corroded fittings show that the hose has leaked in the past or is leaking at the present moment. If you don't replace the hose on time, you may find the fitting is virtually impossible to remove from the faucet once it has rusted and corroded. 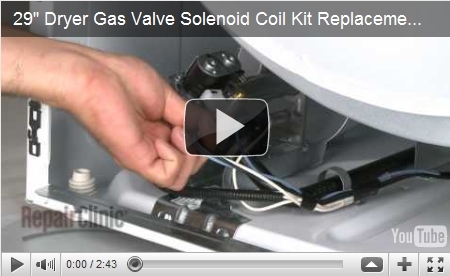 If your washer hoses have any of these conditions, it is a good idea to replace them. (Washer water fill hoses generally need to be replaced every three to five years, whether there is a visible defect showing or not.) For greatest safety and peace of mind, use stainless steel fill hoses. Make sure that your washing machine is level and sitting on a well-supported sub-floor. Leading cause of washer failure (and customer complaints) is a unit that moves and bangs around after being unbalanced by many loads. Also, check that no water is dripping into the washer when it is turned off. If water is dripping in, even just a small amount, it's a sign the water inlet valve is defective and should be replaced. © 2015 Appliance Parts Today. All rights reserved.